It’s conference championship week in college football. Consequential games with national playoff implications will be played from coast to coast. It’s appointment television time. Still, it’s Alabama’s game to lose, something the state of Georgia is depending on. Until we see it actually happen, there’s no reason the Tide shouldn’t remain the top team in Tiebreaker.com’s poll. 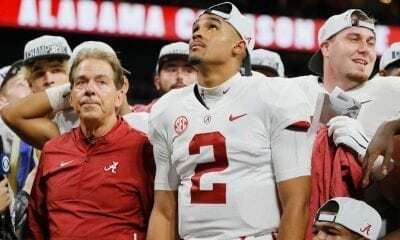 It is the defending national champion and Alabama has done nothing this season to discourage the belief that it will win another. If nothing else, the 2018 season has been a clinic in dissection. The bigger they are, the deeper they’ve been cut by the Tide. Tua Tagovailoa’s run to the Heisman has been something to see. Even though he’s rarely played in a fourth quarter, he has put up numbers unlike anything Joe Namath and Richard Todd managed to do. Is this the greatest team in NCAA history? That’s a question for a cold, January day, if Alabama does what it seems capable of doing. Alabama’s offense is powerful and young. Three sophomores, DeVonta Smith, Jerry Jeudy and Henry Ruggs III, freshman Jaylen Waddle and tight end Irv Smith, Jr., have given secondaries migraines. Waddle has 37 receptions for 690 yards. Georgia has the capability of scoring at Alabama’s pace and the Tide will have control the line of scrimmage when the Bulldogs have the ball. While that shouldn’t be a problem for studs like nose guard Quinnen Williams, it will be interesting to see how well Georgia’s backs, D’Andre Swift and Elijah Holyfield, will perform and how successful quarterback Jake Fromm can adjust. Fromm has 11 TD passes and only one interception since the loss to LSU. And still, there’s a feeling he still trying to hold back the challenge of highly touted freshman Justin Fields, who is much more athletic. Aside from Notre Dame, which does not play this weekend, none of the top five will have less of a problem than Clemson, which will play in its fourth straight ACC title game. Frankly, there seems no place on this planet where Pittsburgh would be safe. That is why the Panthers are 26-point underdogs. 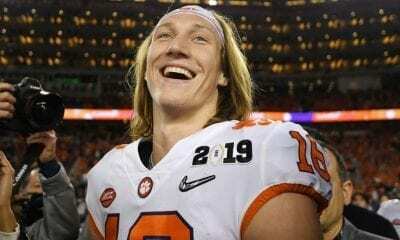 Start with freshman QB Trevor Lawrence. Since Dabo Sweeney gave him the job in September, he has taken the offense into orbit with his strong arm and utter cool and cockiness. Of course, Lawrence might not have enjoyed his success if not for the emergence of perhaps the nation’s most powerful offensive line, led by tackle Mitch Hyatt. Watch him pry open holes for the multiple halfbacks the Tigers will use. Clemson is ranked second nationally in yards per rush (6.62), the best performance in the history of the program. Travis Etienne needs only 221 yards to set the program record for rushing yards in a single season. His 19 rushing TDs are a record and he’s gained at least 20 yards on 19 carries. He has at least two games left to tally 221 rushing yards and break Wayne Gallman’s single-season school record (1,527 in 2015). His 19 rushing touchdowns are a school record and tied for second nationally this season. His 19 rushes of 20 or more yards rank second nationally, too, and he averages 7.97 yards per carry. The Panthers have excellent backs, as well. Darrin Hall and Qadree Ollison have had excellent seasons and Pitt loves to run the ball. But it seems unlikely they will be able to do enough to keep Clemson’s offense off the field. Yes, that would be asking too much of them. Of course, Pitt did beat Clemson 43-42 when they last played in 2016. So perhaps we are being too presumptuous about the outcome. But we don’t really think so. The Panthers lost by three touchdowns to Miami. Do the math. There are advantages of being an independent and the Irish are taking full advantage of this weekend. While Alabama, Clemson, Georgia and Oklahoma play conference championship games, the Irish will simply wait to see how it all plays out. They are in the Final Four. Case closed. Notre Dame’s 24-17 win over USC in Los Angeles closed out a 12-0 season. And when this weekend is over, it might be the only unbeaten team left in Tiebreaker.com’s Top 5. The only thing left to determine is who the Irish will play in the national semifinals. Right now, it looks like Clemson. And if Alabama and Clemson win, that most certainly will the case. The Tide would play Oklahoma or Ohio State or maybe someone else who might creep into the four spot. The Irish became a national contender when Ian Book became their QB. He burst from the blocks with six great starts, leading the nation in completion percentage, becoming the big man on a campus that loves its football heros. Then he hurt his ribs and his performances against Syracuse and USC have more efficient than astounding. Still, it look like he will finish the season with a higher single-season completion percentage in ND history. And you might remember a guy named Joe Montana. The Bulldogs couldn’t ask for more than this opportunity to avenge last season’s loss to Alabama in the national championship game. They lost to LSU this season but managed to keep their poise and preserve the chance to meet the Tide for the SEC title. 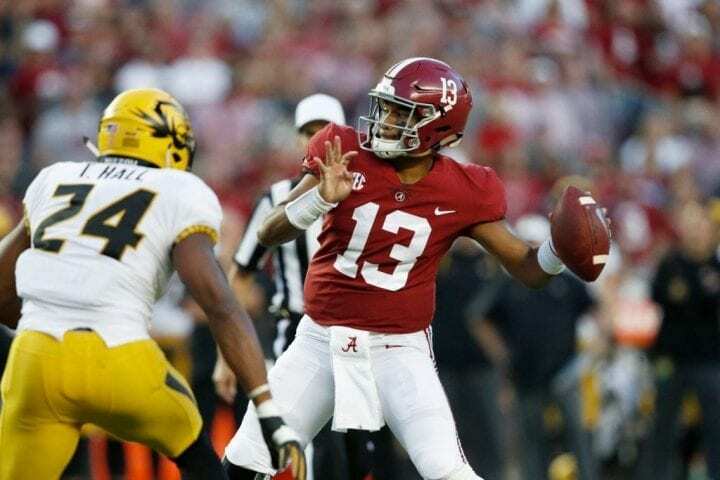 This team has been reminded on a daily basis about the 41-yard TD pass Tagovailoa threw to Smith – on second-and-26 – to give the Tide its 26-23 overtime win. It has been the source of its inspiration. The Bulldogs were so close to their first national title since 1980. There is something very different about Georgia, of course. Two of their big stars last season, Nick Chubb, Roquan Smith and Sony Michel, are now in the NFL. One guy Georgia might try to utilize is receiver Riley Ridley, whose brother Calvin played for the Tide. Michigan’s mammoth loss to the Ohio State last week makes way for the reappearance of the Sooners on our national stage. They play Texas Saturday for the Big 12 title – and hopefully a place in the Final Four. The teams played in October, the Longhorns escaping with a 48-45 win when freshman Cameron Dicker kicked a 40-yard field goal with nine seconds to play. Their big guy has naturally been junior QB Kyler Murray. He was an early Heisman candidate until Tagovailoa took over. He’s ranked first national in QB rating (96.1) and is averaging 377.3 yards of offense. Murray engineered three TDs in a six-minutes span that pulled the Sooners into a 45-45 with 2:38 remaining in the first Texas game. Oklahoma is the three-time defending conference champion. The Sooners lead the nation in total offense and scoring. They have cranked out 8.9 yards per play, which in on pace to set the FBS record. They have also scored at least 45 in eight straight games. Thing is, Texas offense can move the ball, too. QB Sam Ehlinger has a number of great targets, but none more pleasing than Lil’Jordan Humphrey, a 6-4 junior who has 1,058 receiving yards and eight TDs. But Ehlinger has had shoulder issues since October and he made it worse in the Iowa State game. The Sooners had a lot of trouble defensively this season, which led to the firing of defensive coordinator Mark Stoops in October. They allowed 539 yards passing in a win over West Virginia and have yielded at least 40 points in their last four games. 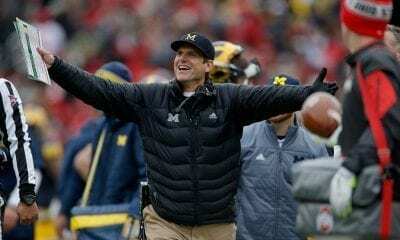 What Does Rivalry Weekend Have In Store For Tiebreaker’s Top 5?